According to environmental journalist Jeff Goodell, extreme weather due to climate change displaced more than a million people from their homes last year. 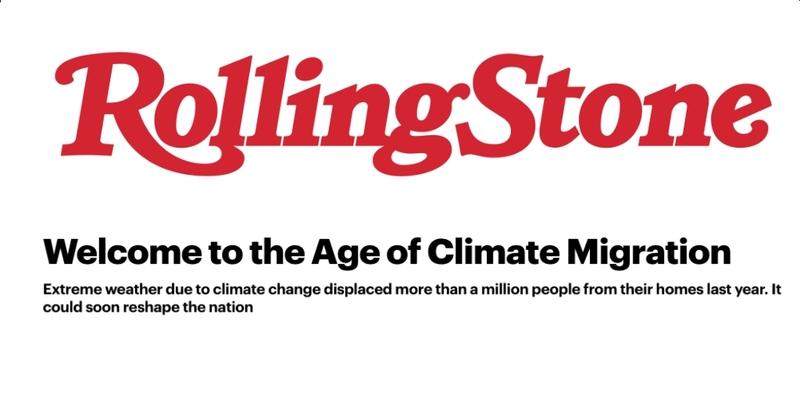 In a Rolling Stone magazine article called, “Welcome to the Age of Climate Migration,” Goodell predicts Asheville North Carolina — home of The Collider climate innovation center, where Infrastructure Services Group’s corporate headquarters are located — will become a haven for climate refugees. Infrastructure Services Group LLC brought Goodell to Asheville in the fall of 2017 for a lecture and signing of his best-selling book, THE WATER WILL COME. 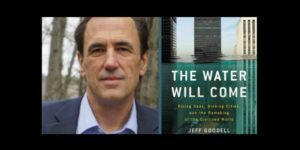 He is also the author of the award-winning HOW TO COOL THE PLANET: Geoengineering and the Audacious Quest to Fix Earth’s Climate and BIG COAL: The Dirty Secret Behind America’s Energy Future.